Egypt Travel Representative will pick you up from Port of Ein El Sokhna by the cruise exit door. After that you will be driven by an air-conditioned vehicle through the fascinating Egyptian countryside towards the legendary Cairo. Upon arrival the outskirts of Cairo, continue to the downtown of Cairo, to visit the famous Egyptian Museum, housing the largest collection of Egyptian artifacts in the world, including the magnificent treasures of the boy King,Tutankhamun. lunch at local restaurant before you arrive at the Plateau Of Giza where the only remaining Wonder of the Ancient World, the Great pyramid and their mysterious guardian, the Sphinx, stand defying the passage of time and men. Then drive to the Western Plateau to see a panoramic view of the Pyramids and a short photo stop will take place before your coach brings you near the Great Pyramid of Cheops where free time will be allocated. 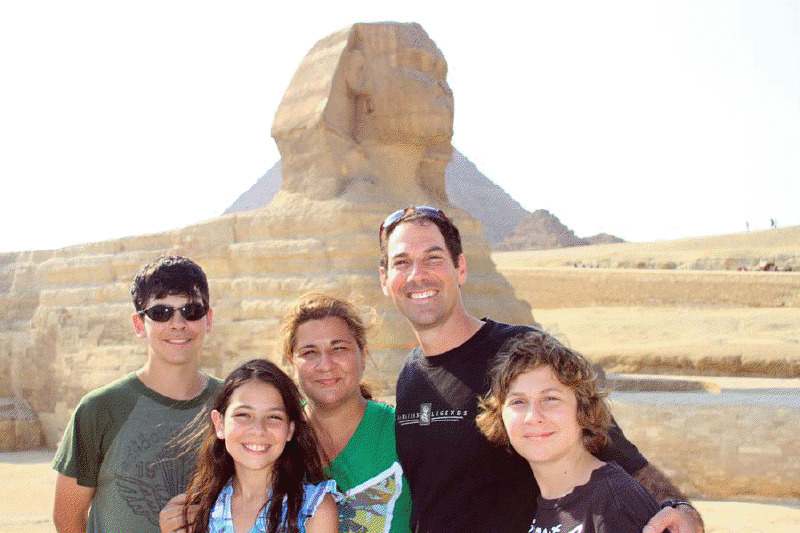 Continue down the valley to visit the mighty Sphinx with its adjoining Mortuary Temple made of alabaster. A short time will be spent at an oriental shop where a demonstration will take place introducing you to an art discovered by the ancient Egyptians, paper making from reeds. Limited time for souvenir shopping will be allocated before you commence the return drive to Sokhna Port.